The response to Kendrick Lamar’s Good Kid, M.A.A.D City following its release in October of 2012 proved to be a genre-defining moment. Pitchfork gave the album a 9.5, calling it “fearless and brilliant.” XXL gave the Compton rapper’s major label debut the prestigious distinction of XXL, a rating given to past works such as Lauryn Hill’s The Miseducation of Lauryn Hill, Kanye West’s Late Registration, and Jay-Z’s The Blueprint. Numerous other publications and gatekeepers of the genre were quick to heap praise on the album and its creator, and in the process of doing so, proclaimed Lamar as the next in line to the throne. Six years later, Lamar reigns supreme. He’s a highly respected artist whose work has earned him a Pulitzer, Grammy Awards, and the admiration of his peers. He continues to satiate the appetite of his ravenous fans and the hypercritical hip-hop hierarchy. He has become the undisputed monarch of a genre that prides itself on heritage and competition. Every subsequent release since Lamar first emerged on the mainstream scene that fateful autumn has been met with the same overwhelmingly positive feedback, with Lamar showcasing his ability to craft music that is not only timely but also reflective of his continued musical evolution. Hindsight is 20/20, but the near-universal acclaim that Good Kid, M.A.A.D City received has paid off in spades: the album is a masterpiece and a culture-shifting work of art. When West Coast legends Dr. Dre, Snoop Dogg, and The Game passed the torch to Lamar at a concert in 2011, it signified a changing of the guard, reaffirming the earliest predictions that Lamar was destined for superstardom. While there’s no denying Lamar’s immense talent, his rapid ascension sparked a conversation that has raged for the better part of hip hop’s forty year existence. In the age of the internet, where everyone's a critic, words often lose their meaning and potency. Hip-hop fans are the worst offenders, content to throw around “classic” without so much as a second thought. Perhaps nowhere was this more visible than in the weeks following the release of Good Kid, M.A.A.D City, when Lamar’s most ardent fans embarked on a digital crusade to anoint the album an “instant classic.” Though no fault of Lamar’s, it pointed to a significant change in the way that we talk about rap albums. The classic distinction was once reserved for albums that embodied both excellence and permanence; it wasn’t a title that was unceremoniously granted overnight, as it is now. Classic implies a listening experience of the highest craftsmanship that has stood the test of time and not just a few weeks worth of listening. But times have changed. Reason and objectivity are relics of the past. Rational conversations are few and far between. Everything is a classic to somebody. The bottom line is that miscalculations and overreaching personal opinions, fueled in large part by like buttons and comment sections, are generating severe miscalculations that are negatively impacting the historical perceptions and direction of the genre. It’s easy to point to streaming as the primary culprit. Artists and album releases come and go with the seasons, and fame and recognition are thus all the more fragile. Curated playlists are the musical trendsetters of the 21st century. And SoundCloud has brought with it a crop of artists that pop up as quickly as they disappear. But hip hop’s obsession with the classic predates newfangled consumption platforms such as Spotify and Apple Music, and its reach certainly extends beyond the work of Lamar. Nas’ Illmatic serves as the shining pinnacle of hip hop’s overarching desire to achieve permanent shelf life. The 1994 debut from the Queensbridge Poet came at a time when the standards for classic rap were beginning to form; it has since become the standard against which every classic rap album is measured. Rap criticism was complicit in the building of this legacy: The Source magazine gave the album the highly coveted five mic rating, lending tremendous credibility and cultural relevance to the 20-year-old emcee. Not only did the album help revive the New York City rap scene, it forever altered the course of the genre. 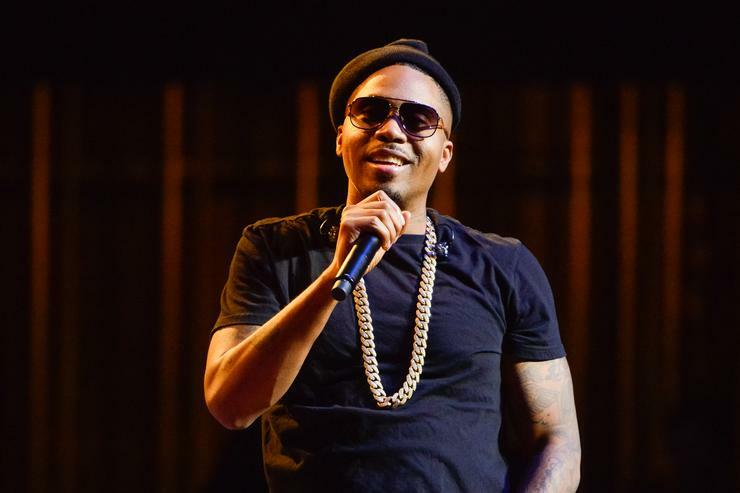 Nas’ rival, Jay-Z, was instrumental in popularizing the idea of building a legacy through savvy branding, while also serving as an example of the importance of consistency when examining one’s cumulative discography. But in the years that followed the release of Illmatic, it became readily apparent that a great many artists weren’t interested in creating their own legacy so much as they were focused on replicating Nas’ blueprint. For better or worse, Nas’ coming-of-age story-telling, introspection, self-obsession, and discerning touch became qualities to be mindlessly replicated. Artists sought to reproduce the exact same make and model, content to work in the shadow of the legendary emcee rather than master their own sound. It was the birth of a new era where the goal was to churn out classics-by-design in pursuit of the title of greatest of all time. Illmatic is a once-in-a-lifetime release, but it’s often misused by those narrow-minded enough to consider it an accurate representation of the genre as a whole. It’s a work of art that unquestionably belongs on the short list of albums that have stood the test of time, and a time capsule that offers forth the best representations of what rap sounded like at that given era. But it also points to a serious flaw in the way that perceived classics write unreliable genre histories, and how this flaw has been exacerbated by the passage of time. Reducing rap to its lowest common denominator promotes a limiting view, particularly given how much hip-hop has progressed in the twenty plus years since Illmatic’s release. Artists are convinced that they have to make a certain type of album, especially when it comes to debut projects, and fans are eager to drink the Kool-Aid. As a result, these artists forgo their own original aesthetic in the desperate pursuit of the classic debut that is expected of them. This creative process doesn’t yield art reaching for new ideas. Instead, it gives into preconceived notions of what a rap album should sound like, further reinforcing the myth of the “instant classic” and ultimately bastardizing the listening experience. Every expectation, whether realized or not, is inevitably tied back to the faulty Illmatic barometer. Time is the ultimate tastemaker that makes it near impossible to reach a general consensus on what defines a classic album. One might base their answer solely on statistics: albums sold, noteworthy singles, and chart placements. For others, it may be more personal: replay value, relatability, and cultural impact. Indeed, it could be a combination of both quantitative and qualitative factors. An album that is revered as a momentous body of work by one group may be considered outdated by another. Do these generational differences nullify an album’s validity as a classic? Certainly not; what constitutes a classic album is largely contingent on distinct musical tastes. But what these differences do signify is how dramatically the conversation has devolved over the years. Albums are no longer to be enjoyed for enjoyment’s sake. Rather, they are something to be thrust under the microscope as soon as they reach the masses. An album is either a classic or yet another forgettable release that gets left in the past within a week; there is no in-between for the modern day rap fan. Kendrick Lamar’s Good Kid, M.A.A.D City, like many albums before it,grew into its classic status, though not because it was predicated on the outlandish expectations of listeners. This is the strange dichotomy of the rap-canon debate. The hip hop community is forever concerned with what we’ll be listening to years down the line, but is increasingly quick to make snap judgments in the here and now.